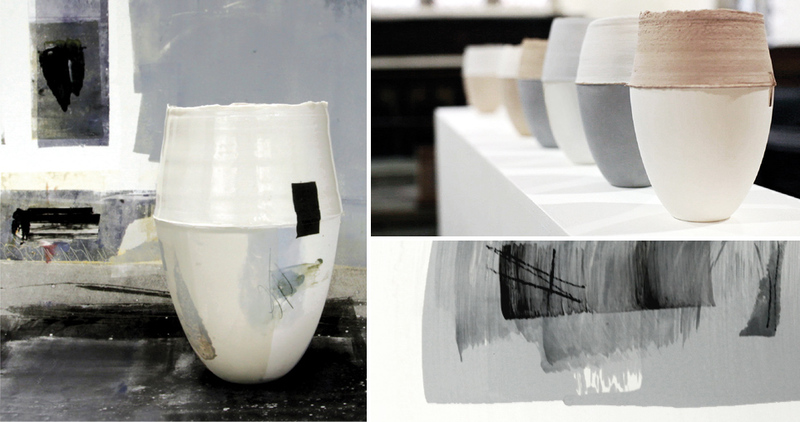 ​Porcelain beakers with printed marks and text inspired by the coast. Abraded glass pebbles from the shoreline have been included within the body of some of the pieces resulting in dramatic runs of colour. 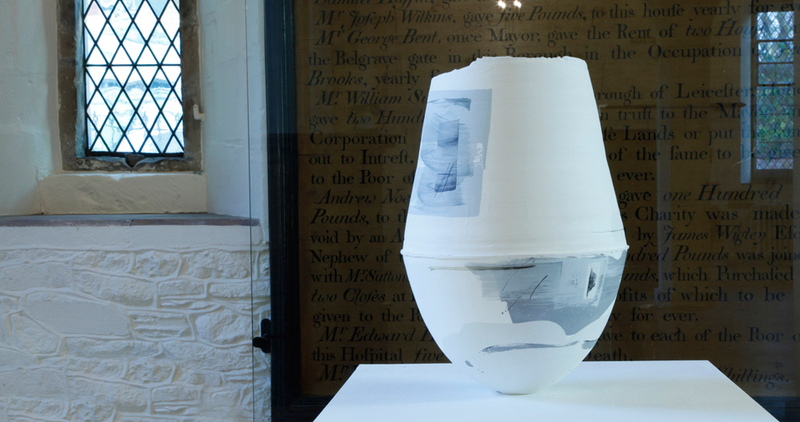 ​Large printed vessel displayed in the 2014 solo exhibition ‘Traversing the Line’ at Trinity House, Leicester.